Cantera IEA Junior High Team and High School Open Varsity went to Nationals! We fell behind in posting 2017/2018 IEA Season shows. Needless to say Team Cantera represented well! Our Junior High Team took first place at Zones securing their ticket to Nationals. 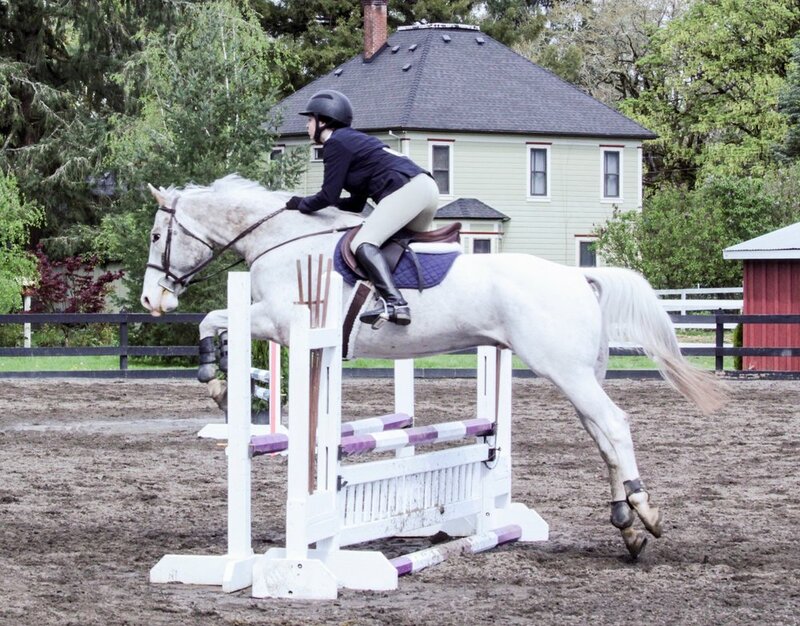 Desiree Fisher took First place at Zones in Individual Varsity Open over fences and on the flat securing her spot on the Zone 9 Nationals team as well. Nationals was held in Syracuse, NY at the end of April. We had an incredible time venturing across the country as a team. What amazing memories were made! Looking forward to securing spots for Nationals next year as well! We are super proud of the entire team. The entire team put in great rides and demonstrated awesome sportsmanship throughout the season! 1st over fences and 1st on the flat & high point rider of the show! The annual Kerrits Friends and Family sale has been announced! We will caravan from Cantera for those that are interested on Wednesday 11/15/17. Laura leads Hayden around on Keenan for the Lead Line division at last years schooling show. It's just around the corner! Cantera's first schooling show of the year will be Sunday, May 28th instead of our usually scheduled lessons. Everyone is welcome to participate! We plan on letting the school horses be ridden by more than one rider. If you have any questions about what division you should do please talk with your instructor. There are blank show entry forms at the barn or you can print your own at home and bring in to the office. Another great weekend horse showing! Congratulations riders! Congratulations to all of our riders for a great show this weekend! A few members of the Canterwood Pony Club went cross country schooling yesterday during their spring break at Rainbow Meadows. Thank goodness for some nice weather! Such a great group of kids, horses and parents. Cindy even got in on the action! Happy birthday to our fearless leader! Join us Friday in downtown Camas for some birthday Sushi.